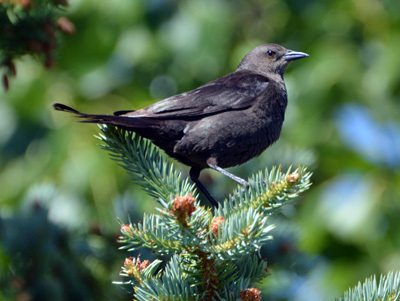 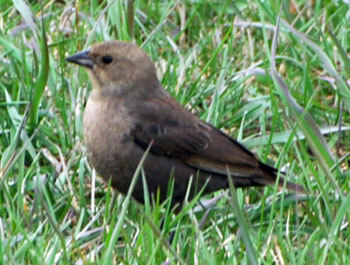 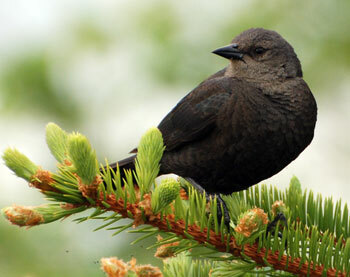 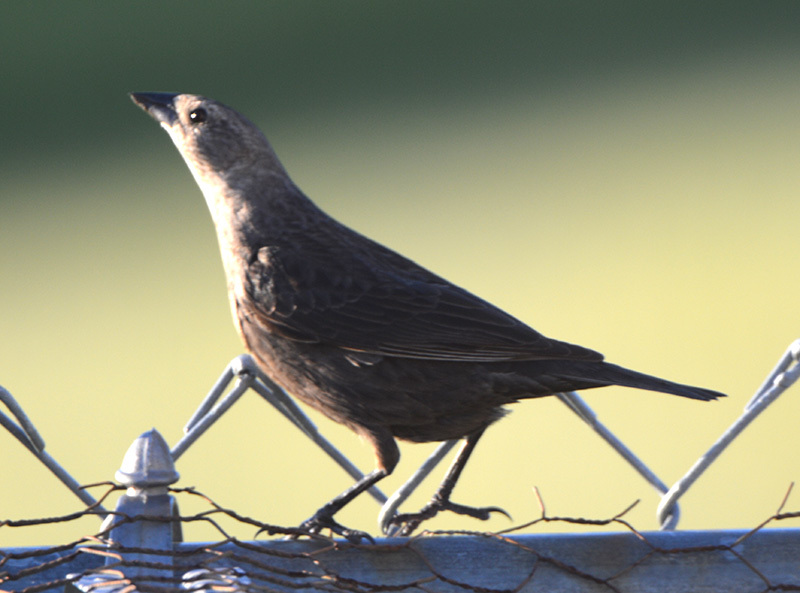 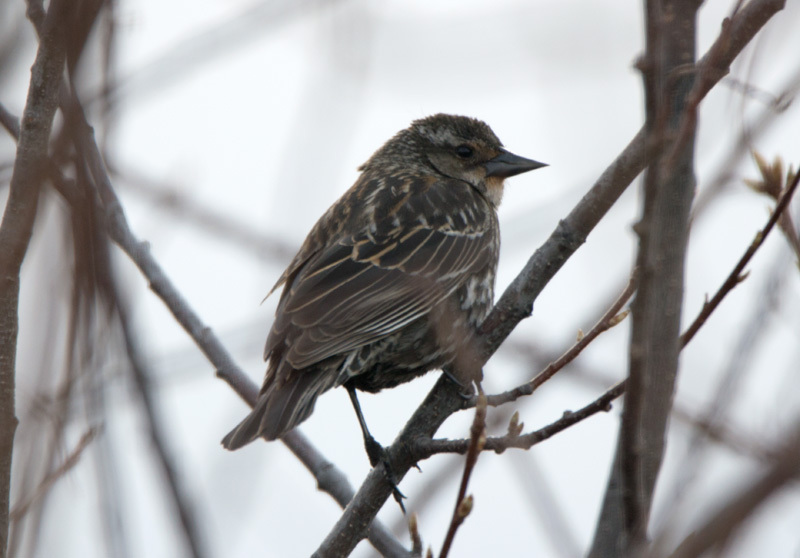 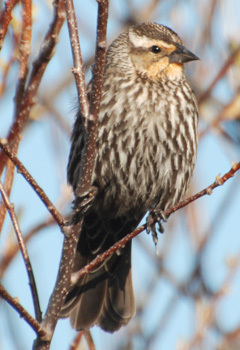 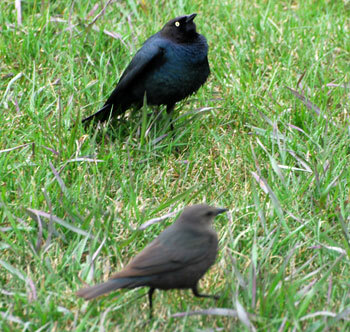 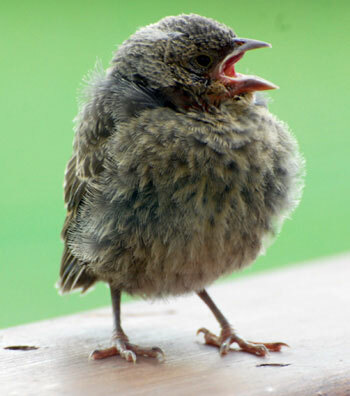 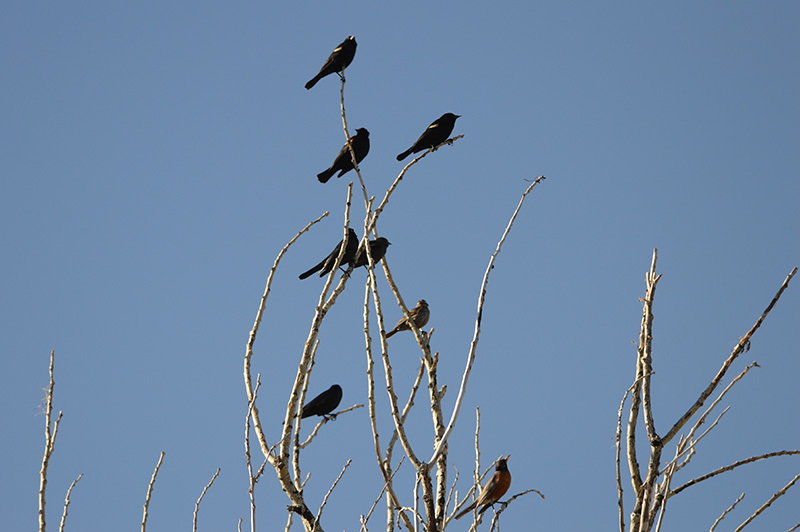 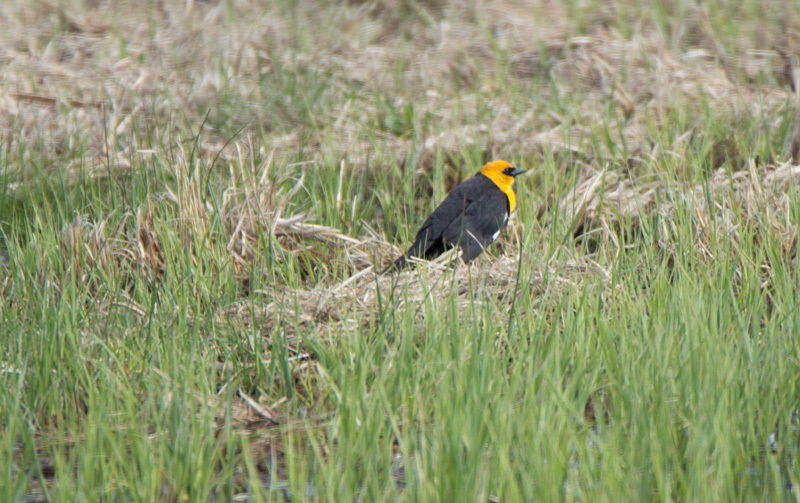 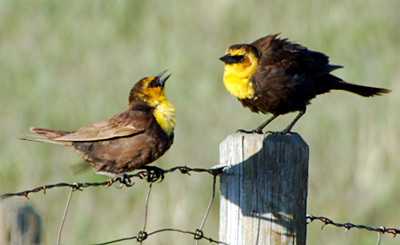 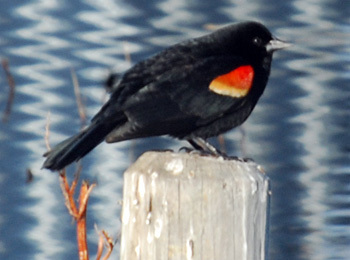 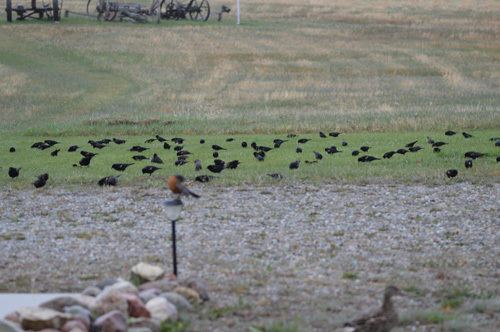 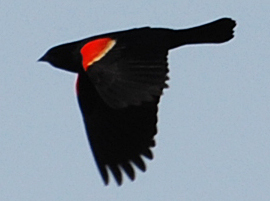 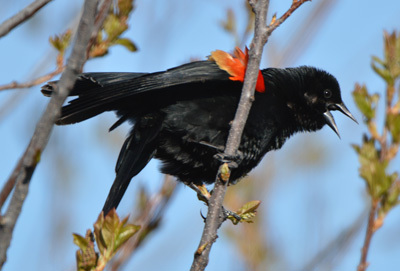 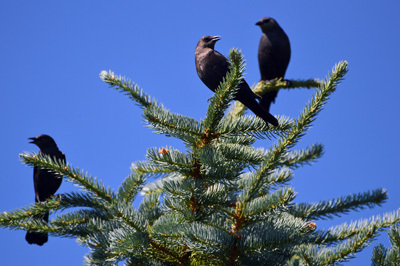 Blackbirds are a common site here from spring to autumn nesting in the trees or cattails. 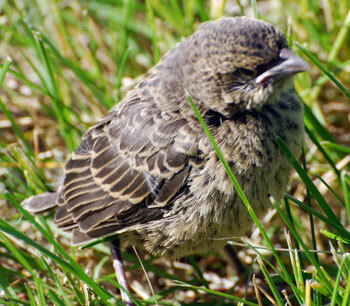 As soon as their young ones are independent they leave. 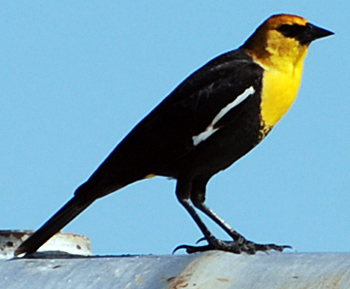 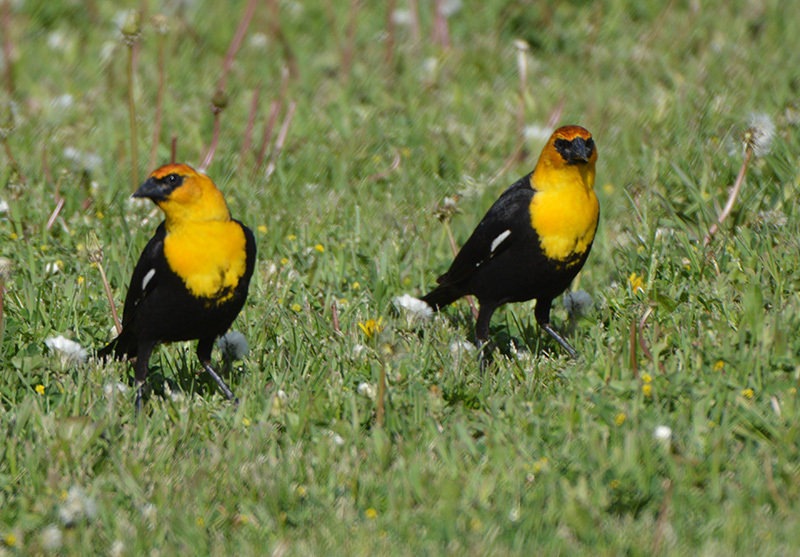 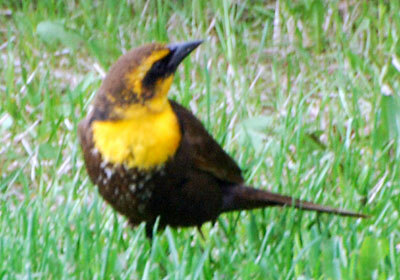 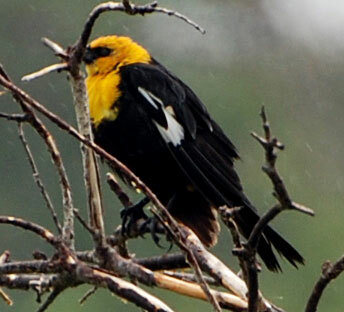 We see Yellow Headed, Red Winged, and most common, Brewers. 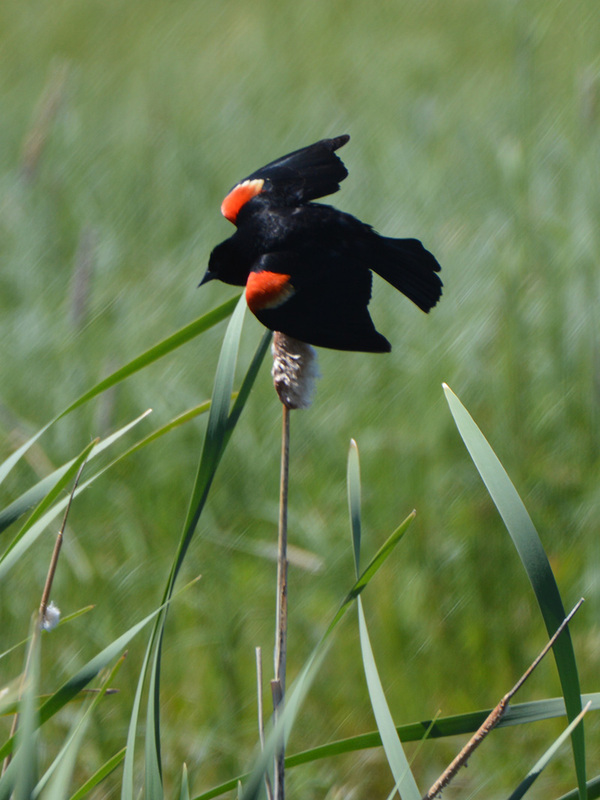 June 12/17 – Red Winged Blackbird on the cattails. 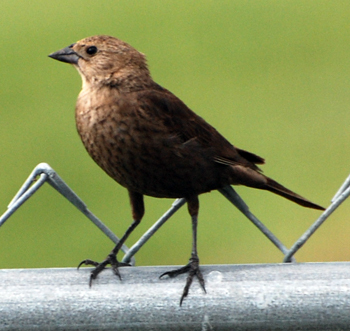 June 2/17 – I think this is a Brewers Blackbird. 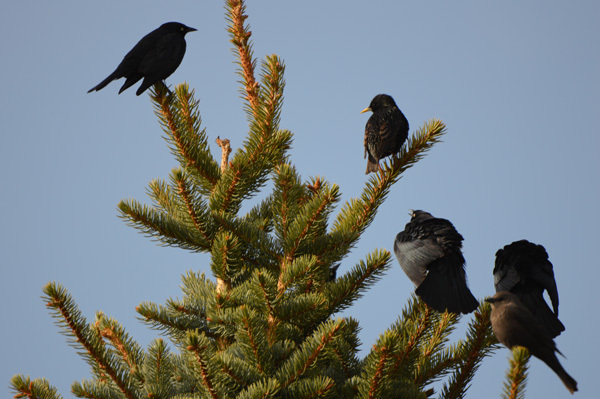 2016 – this year there were 100’s of Blackbirds flocked together, both Brewers and Red Winged. 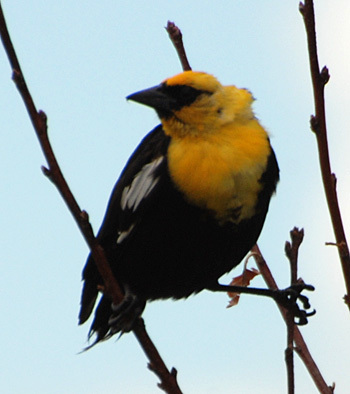 2016 – We have 100’s of these birds here this spring.